Assuming matched play, they need to be in separate detachments. Since Sisters of Silence have no HQ, they're allowed to form a Vanguard detachment, but do not receive the usual +1 CP. And I'm completely failing to remember where they actually said that. You may need to add a seperate detachment to your "core" roster for the "allies" contingent, IIRC - will check! That's the push I needed. Thanks! It's in the Index Imperium 2 FAQ. 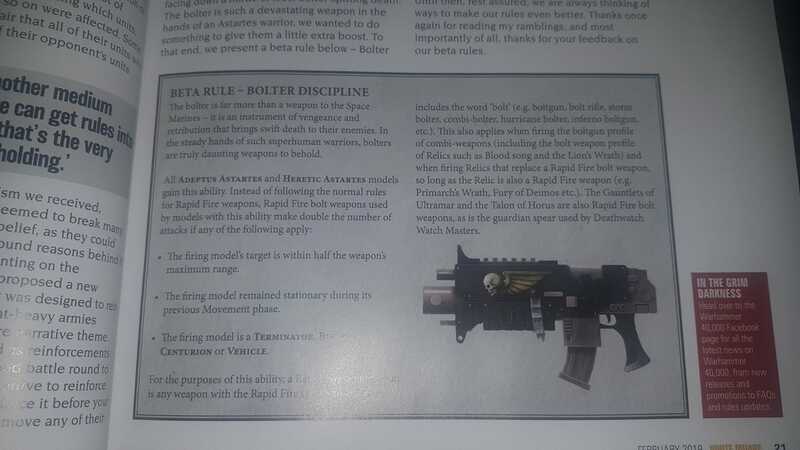 However, Sisters of Silence share the "Astra Telepathica" faction keyword with the Primaris Psyker HQ from Codex: Astra Militarum, so you can use that as the shared keyword for a Vanguard detachment and still get the +1 CP. The Primaris Pskyer is useful in a Custodes/SoS army anyway for Deny the Witch rolls and some extra mortal wounds. I'm taking my Supremacy Suit out again this weekend... It's not top tier, but hopefully it'll surprise a few people! I genuinely like the model. It's just so very Macross. For those that like female Space Marines, Forge World has a new line of female heads for Stormcast Eternals that would work pretty well. Huh. Those look surprisingly good. I've been using the various Statuesque heads, but I might have to grab a set or two of those depending on their price point. On one hand, Forgeworld’s new pricing (especially for Australia) is terrible, and has stopped me purchasing from them for all other projects. On the other hand, I’m tempted to order a set of those heads purely to show support for the product line... Money (and preorders) talk, and help build a case for producing more figures and conversion sets like this. This image, apparently from the February White Dwarf, has been making its rounds this morning. Decent boost to Marines of all flavours - though Deathwatch probably see the most benefit.